Wood, dark brown patina. 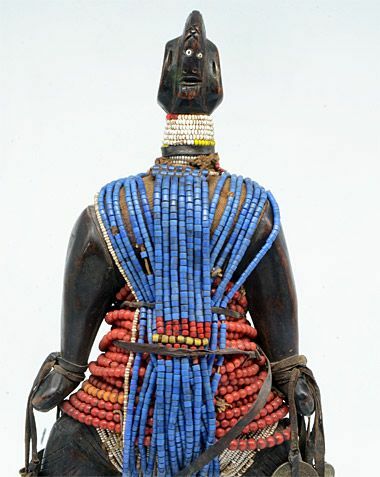 Adorned with with glass beads, leather strips, metal, cowrie shells, brass bells and old hole coins from British West Africa. Mounted on a metal base.